It feels like we zipped through Christmas week which was spent with my parents and helping my youngest deal with a chest cold. 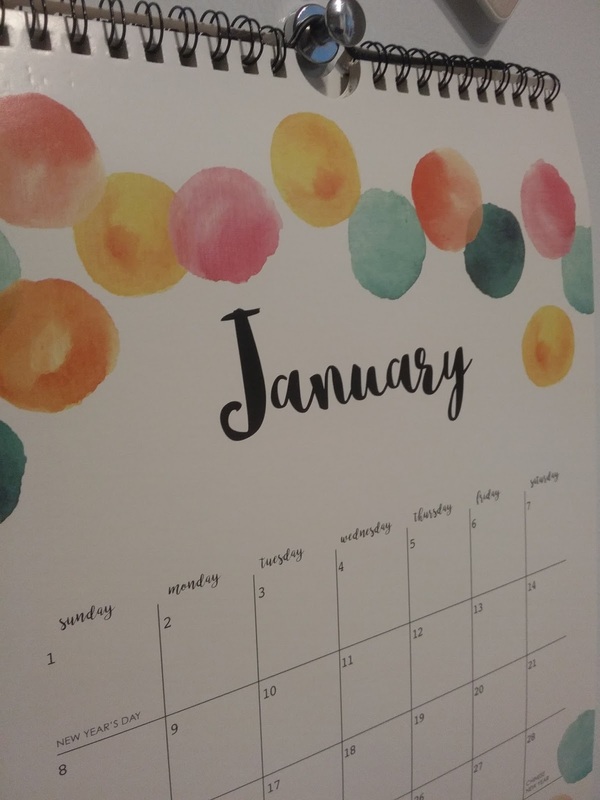 The first week in January was a full week of house cleaning, organizing, purging and lesson planning. I posted back in early December how we moved Kate upstairs to sleep on the bottom bunk of her sister's bed, which left her crib empty except for afternoon naps. I couldn't justify the space it took up even if it facilitated a better nap/quiet time session, so down it came. My mom bought us that crib second-hand when Seth was born in Pennsylvania. So it was bittersweet (to me!) for him to be the one who disassembled it for garbage day. Shane did some basement organization back in late fall that helped clear up the floor space, but left some things inaccessible for Laura to play with. So part of the reorganization task for me was to make the toys and pretend play items more visible and accessible for the kids to use. It also meant I needed to be willing to part with some things. Several large bags and boxes later, the deed was done. I also moved a tall bookcase from our bedroom which held a ton of my books, papers, magazines, and stuff to the basement and moved up Seth's old desk that had been slated for donation. I had been thinking for months on how to give myself a desk space and finally settled on removing my bookshelf in exchange for the desk. It means that my 'new nightstand' and desk are competing for space, but the desk is too far away to perform double duty, so I'm fine with a desk drawer that cannot be pulled out all the way. We headed back into our lessons this past week and did very well after taking almost three weeks off for Christmas break. Laura is a more eager reader and gaining some fluency, slowly. We began to work on her cursive in addition to continue to work on her printing. It was a bit of learning curve, but making the paper angled correctly made her sweeping motions much easier. I purchased a pdf workbook for cursive from Logic of English before Christmas and I am printing off the pages as we need them. I plan to try their manuscript pdf workbook and see if she does better. So far we have been using Explode the Code and it's just okay. She has trouble remembering where to start for all the different lowercase letters. I used Handwriting Without Tears for Seth and have an extra unused workbook but I would like to try Logic of English Manuscript. We are also really taking off in her math, using Rightstart, the same as her brother did. I love this curriculum even though it is teacher intensive. It makes so much mathematical sense and builds so well on the previous lessons. It makes me feel math smart. The rest of their books and lessons really need their own post, maybe just a bunch of photos of their books, that's about all I will likely take the time for. I'm afraid to hear what it is and how long it will take to get some grass growing back there again. Spring is going to be very muddy and I'm wondering if the bees will even come to my garden if there are no wildflowers growing. I'm trying not to worry about the mess and think about my upcoming garden plans instead.